The interior of the church is surprisingly bulky and the paintings are unique and varied. The monumental wooden main altar from 1640 by B. Knilling and V. Knoth dominates in its interior. V. Stadler of Trnava and master Ferdinand of Cífer participated in its production. The altar is 20.3 m tall and 14.8 m wide. It is one of the biggest altars of its kind in Europe. However, its stucco ornamentation by Italian masters is also intriguing. 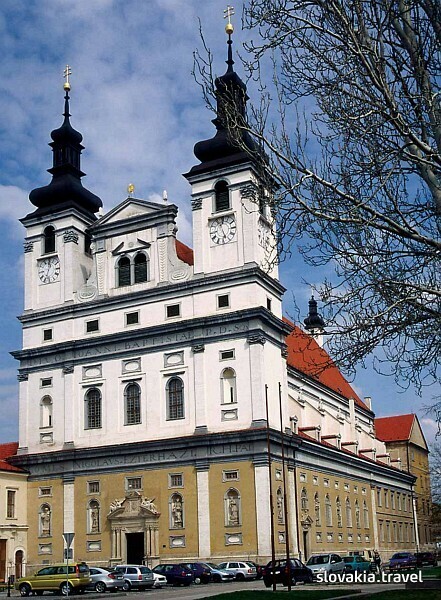 The university church is the Metropolitan Cathedral of the Bratislava and Trnava diocese since 1977. The important milestone in its history is the visit of Pope John Paul II in 2003.